Scholarly interest in Southern Unionists hasn't really expanded much into any kind of widespread publication of full-length regimental studies. Utah attorney Russell L. Mahan is pretty much the guy when it comes to the First Arkansas Cavalry (Union). Back in 1996, Mahan put out (self-published, I believe) a pair of related studies, Federal Outpost at Fayetteville: The First Arkansas Union Cavalry and The Battle of Fayetteville, Arkansas, April 18, 1863: Arkansas Confederate Cavalry and Arkansas Union Cavalry Fight for the Soul of Arkansas. Both original editions are long out of print. I only own the second title, which is a pretty decent study of the battle that the regiment's military reputation primarily rests upon (their earlier Prairie Grove participation being an experience best forgotten!). Both volumes are 8 1/2" x 11" tape-bound paperbacks, not the best package for appearances and longevity. 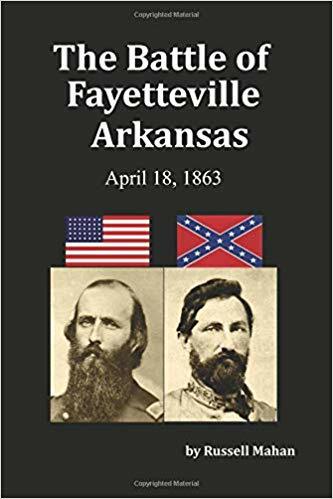 A bit later on in 2003, Mahan also published an illustrated history of the NW Arkansas town most associated with the regiment titled Fayetteville Arkansas in the Civil War. That background aside, the major point of this post is that Mahan's first two books are now back in print with January 2019 releases, this time in the standard perfect-bound paperback format. 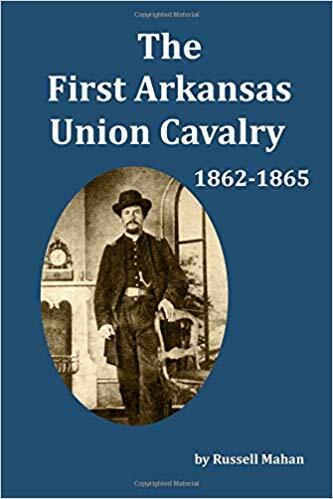 Retitled as The First Arkansas Union Cavalry: 1862-1865 and The Battle of Fayetteville Arkansas: April 18, 1863, it's unclear to me how much new material has been incorporated into these versions. Page count comparison means little with the format change, but the 2019 edition of the battle study does include an extra chapter (though that might represent a reorganization of the material rather than a true expansion). I plan to pick up both titles at some point. The price is certainly very reasonable for those willing to take a shot in the dark. The Fayetteville town study has also been reprinted. Its new title is Fayetteville Arkansas in the Civil War: "Our town was a smouldering ruin."